Today’s young entrepreneurs are joining up the technology with the on-demand service to build numerous business opportunities that promising the customer a more excellent service as compared to traditional on-demand businesses such as offering Food Delivery, Laundry Services, Taxi, Truck and workman keep gaining popularity in the metropolitan and smart cities by assessing the need for on-demand delivery app development. 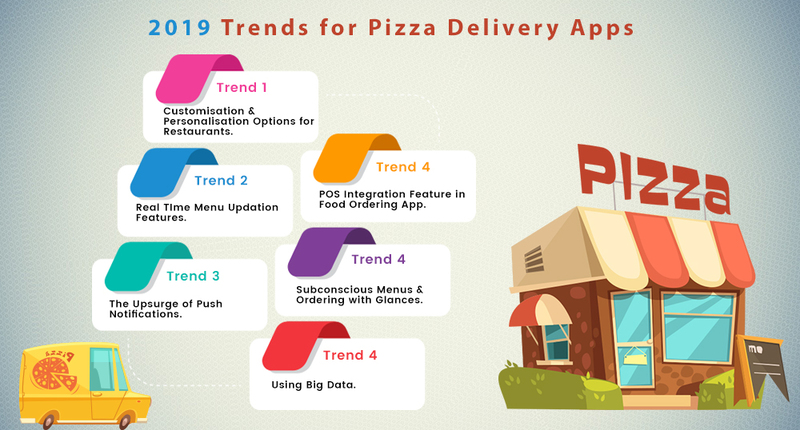 Though a Pizza delivery is a new business model, on-demand pizza delivery app development is fast gaining popularity among its users’ world over. Pizzerias have been equated to encountering a taste of old Italy. Starting a pizza delivery business is not only a profitable choice of food deliveries but also can be a highly demanded service that yields a high-profit margin. It’s a well-known fact that pizza is world famous, ever thought of starting a Uber-like Pizza delivery service for your pizza restaurant outlets? Home delivery services are rising from a few years, from booking taxis to ordering pizza delivery services, basing on this we have streamlined our necessities to suit our modern lifestyles. Due to increased traffic and a steady increase in disposable income, the present period is turning to on-demand app development to improve their buying activity. Diversification of business has allowed companies to furnish to an ample of customers and various market parts, providing a hopeful future for these home delivery apps. 1. Current On-demand Applications and its Implications in the market. The current market has a massive influx of on-demand apps which are gradually triggering a change in a way the service industry operates. That serves as an excellent opportunity for entrepreneurs and startup experts to capitalise on this influencing market as on-demand applications appear to be driving the way in extending your range, heightening your sales and transforming your raw product into a well-renowned brand. Let’s think what if Artificial Intelligence(AI) based technology is integrated with these apps to run pizza delivery smoothly. Technology and AI have become important in passing days for better customer experience with the core fundamentals of the food industry. On-demand pizza delivery app development has a simple, effective appeal – they promise to buy us time and save us effort, and they deliver convenience as a simple service attribute, and also deliver convenience across every customer touch point. Researches have identified five opportunities by this convenience tech to buy people time and save them the effort. Access Convenience – Easily Acquiring. For instance, hot pizza is delivered to you at your location within 15 minutes which can be served hotly and can be consumed whenever and wherever you are and are hungry. Post-Benefit Convenience – Through which the re-purchase will be made accessible. For example, in which you can save your address and payment details. Even you can bookmark your favourites to re-order in seconds. Transaction Convenience – Makes the payment quickly. Now every app let you pay with cards, e-wallets. 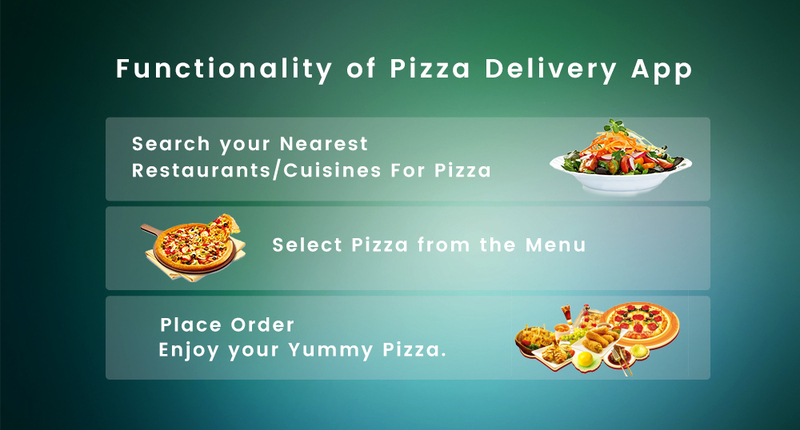 Decision Convenience – Make easy to choose the restaurant to order the pizza. For example in GrubHub, Doordash, you can view the ratings and reviews of the restaurants and decide where to order from accordingly. Benefits Convenience – Enjoy the benefits that the app provides. For example, on Postmates, you can order pizza from more than one restaurant and delivery straight to the place you choose. The on-demand Pizza industry has disturbed regular markets by choosing a full-cycle way to the three crucial elements of a pizza activity at a restaurant: Ordering, Cooking and Delivering. Ordering: In general orders are customer requests to prepare and deliver pizza. Every pizza on-demand businesses receive orders via apps, websites or phone. The order can be from their kitchen or the partnered restaurant. Cooking: Cooking is the process of preparing pizza for the customers. Pizza could be pre-cooked or cooked after an order is received. Here we will show you the image for multiple on-demand pizza delivery apps. 3. Types of Pizza Delivery app development: Who will be the Sender? And Receiver? Business to Person (B2P): Companies developed on-demand apps to offer their products and services to their customers. For example, Pizza delivery app similar to PizzaHut has food order and Delivery app that offers features such as built-in pizza tracking, allowing the customers to keep an eye on preparation to delivery process. Person to Person(P2P): The delivery apps similar to Zomato which enables the person to request an item from another person. Business to Business(B2B): This type of apps are used to communicate between business to business regarding deliveries. For example, if a company wants to maintain vendor to vendor relationship these type of apps are used to track their on-demand shipments regarding their partnerships. If you are aiming to build the next disruptive on -demand Pizza delivery startup, get in touch with us! We can help you with our formidable expertise in the area. we are the leading pizza delivery app development company India. Due to the current scenario pizza businesses are enjoying seamless advantages on the areas of the user base. So here we find specific business models for pizza delivery app development which enables you to earn more revenue if you are get set go with the pizza business or are ready to embark into the one. There are five types of On-demand Pizza delivery business models in the present market. Aggregator Model: In this model, they act as the mediator between the pizza hut and the delivery service provider in which the orders are collected from all the pizza houses and the aggregators will serve themselves. In this, the businesses will receive a fixed commission from the attuned pizza shops and restaurants. They make plans for deliveries on their meeting the client needs. Focused on Transportation: In this, they mainly concentrate on the delivery of the order at the customer door. They never bother about the request received. Pizza outlets and restaurants hire these services. Once the hiring was done, they assign the tasks for delivering the pizza at the users’ location. They are provided with the users’ address and the invoice associated with the order for a productive meeting of their consignments accepted. Individual Business: In which they have their chefs available for preparing their pizza as per the user requirements. Though they will not deliver the order to the customer, instead they serve when the visitor visits their place. Focusing on Order Only: In which the main focus is on order. They take the request for the pizza delivery services and will not concern about making deliveries. Fully Integrated Services: In Fully integrated service businesses have their chefs and delivery services similar to Dominos and Pizza Hut. They receive the order on their prepare the orders and deliver them to their customers in a stipulated time. This a mix of both order only model and Aggregators model which helps to increase the number of the requests and at the same time can increase their visibility over multiple social channels. For developing a premium quality on-demand pizza delivery mobile app, it is must choose the best and appropriate technology stack. 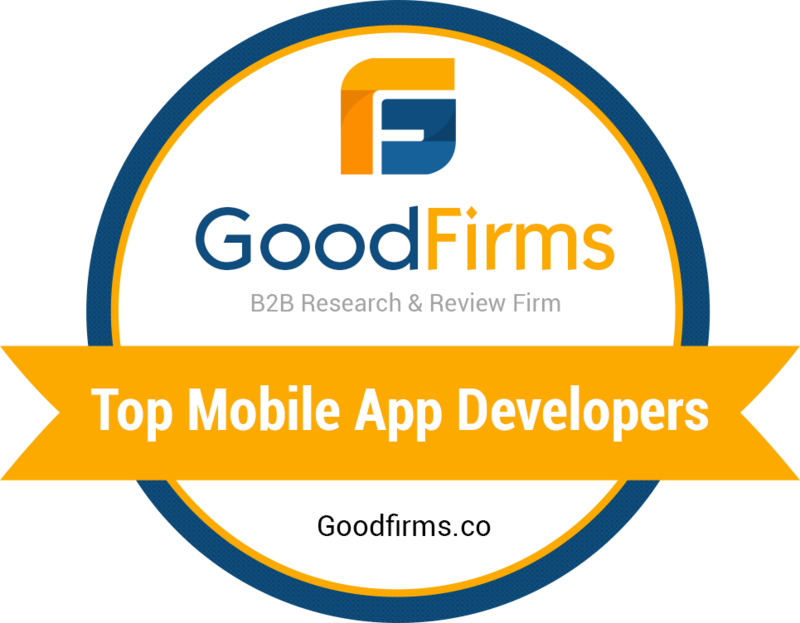 Considering the latest and emerging technical standards will maintain a position for your app ahead of the competitors in this hyper-competitive market place. It is essential to plan the entire process before beginning the development procedures. Devise the methods and all relevant tactics from the very commencement to make your app succeed in the current fierce competition existing out there. The relevant market and the user needs should be planned and analysed for the on-demand pizza delivery mobile app development. All this will determine the proper route for programming any further processes. Choose the appropriate platform whether on-demand pizza delivery iOS app development and on-demand pizza delivery Android app development to run. Consider all the associated risks and the cost that will be incited. The size and complexities of the on-demand pizza delivery app development also the significant factors that determine the value of the on-demand pizza delivery app development. It will be advisable to hire the skilled Android developers an iOS developers that are proficient of developing excellent mobile apps. Once the underlying architecture of the on-demand pizza delivery mobile app development was done, you can go further with the app prototype development. Make sure that all the possible features of the pizza delivery app have been satisfied to start with further development. Always choose the app design in a smart way so that will bolster the reputation of your app. Build an interactive and intuitive app interface for delivering smooth user experience. If your app was ready, then go for various testing tools and strategies. Step 1: You can start with MVP for knowing the weakness and strength of your app. Step 3: Deploy the app on App Stores. The steps mentioned above will surely take your app towards the successful development of on-demand pizza delivery app. And at the same time, it ensures that your app will be managed with the best development and testing practices and will be embedded with the sound infrastructure based on the performance and the quality. For developing strong and well-bred on-demand pizza delivery mobile app, for sure you must need the skilled and well-experienced project managers, best UX/UI designers, Android developers and iOS developers, and Testing team. Due to the different zones and the physical architecture of the app development, there will be extreme variation in the time and cost estimated for on-demand pizza delivery app. The time estimation for developing an MVP of pizza delivery app for Android or iPhone with User mobile app, Pizza Business mobile app and Admin panel will take nearly about 50 to 60 working days when you go for the scratch level development concerning the experience of the resource. If the Pizza business owner chooses any of the models like Aggregator, Transportation focused model or fully integrated model, and then the business owner has to go for the driver mobile app that takes extra time and cost nearly about 20 to 25 days. The following are the features of the driver mobile app. On top of that, with the on-demand pizza delivery app, you can make most out of your pizza delivery business. 8. Knocking on your Doorsteps!! On-Demand pizza delivery Apps are the future apps, and soon most of the services will have their On-Demand pizza delivery App solutions. If you are seeing forward to On-Demand pizza delivery App development, then there can’t be a whole time than this. 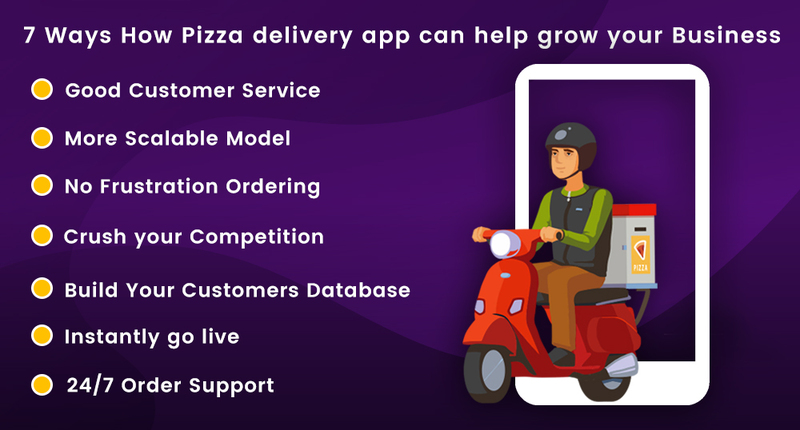 If you have not yet planned to develop an on-demand pizza delivery app for your pizza startup, consider the factors that can help you to boom in this industry. Once you fixed in your mind and want to share your app idea, then you can cross check it with us as we are a leading on-demand app development company in India and the UK. Hire on-demand app developers from Krify and to get cost-effective solutions. Contact us; we are capable of serving you with outstanding on-demand pizza delivery app development solutions as per your custom requirement.